Discussion in 'iPhone and iPad Games' started by TouchArcade Bot, Nov 2, 2015. 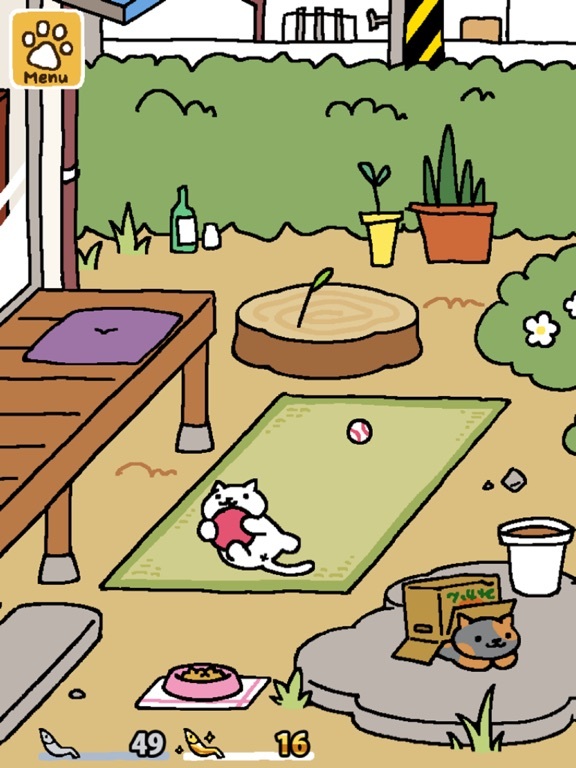 "Playing Neko Atsume: Kitty Collector is as easy as one, two...and that's it! Step 1: Place playthings and snacks in your yard. Step 2: Wait for cats to visit! 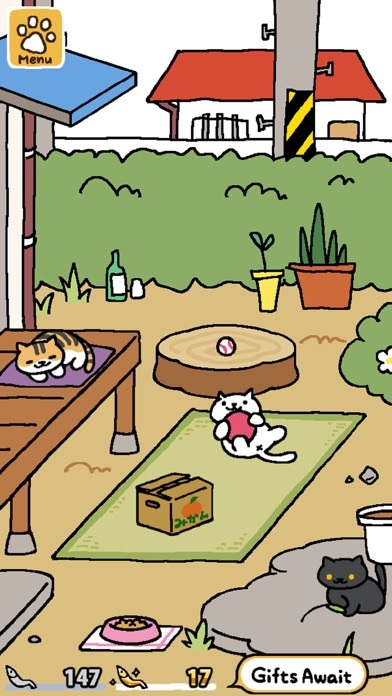 Attract cats with food and then watch them romp with your toys! More than 40 varieties of cats—white and black, tabby and calico—might stop by. Rare cats are rumored to roam the neighborhood too, but you'll need particular items to entice those elusive felines. 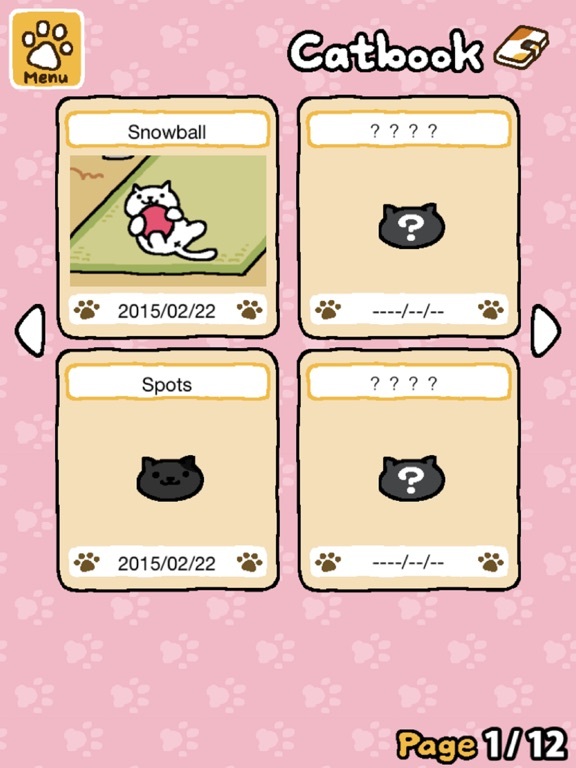 Each visitor is logged in your Catbook. 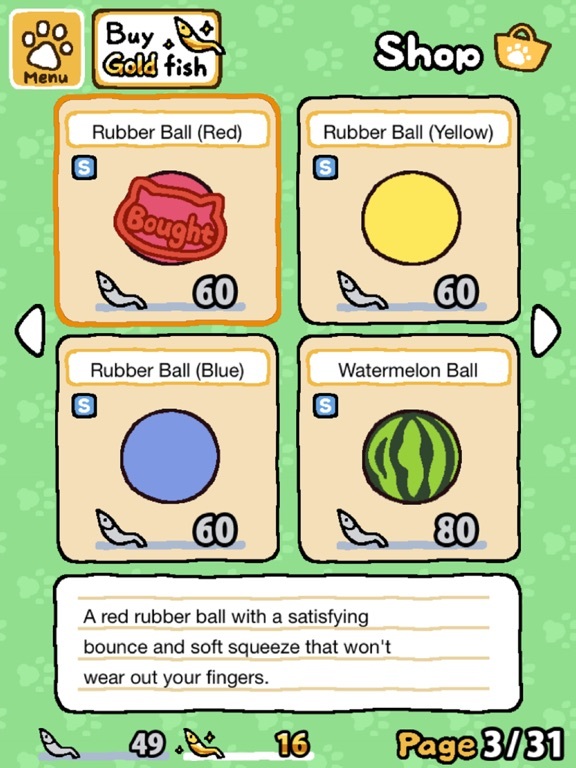 Become a master kitty collector and fill it up! 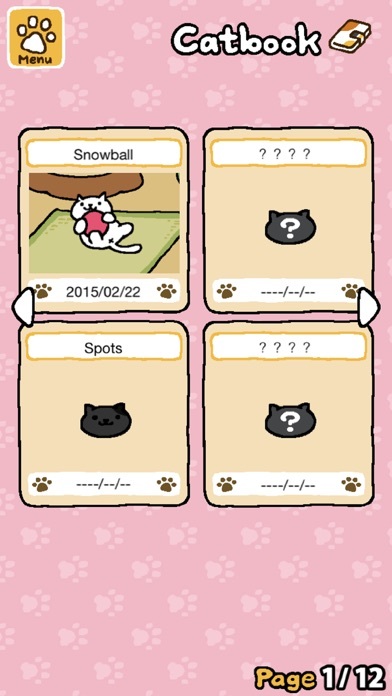 You can even make albums of your cat photos, or save them to your device and use them as wallpaper!" If you've found a bug or have other concerns, please contact our technical support team. [Technical Support] support-cat@hit-point.co.jp We may wish to respond to your inquiry. If you're using an e-mail spam filter, please disable it before you contact us, or add @hit-point.co.jp to your list of allowed addresses. Yay I've been waiting for someone else to make this thread. Here's a photo of my home after the new update, without any cats. Well, never mind I can't attach photos in mobile currently. It's western and has a train. God help me I had to download this. Have you been putting out food? Might as well start with the obvious. Has anyone managed to get a sceencap of Ekicho-san (the conductor) on the train? I keep missing him! Yep! He leans out the side window and blows his little whistle! I didn't realize he wasn't a new car so now I'm trying to get him playing with the ball tunnel thing. 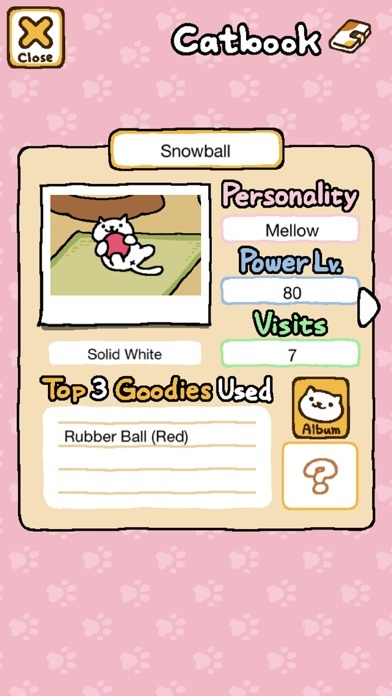 In the catbook, it shows the cat's face with "no photo" underneath. 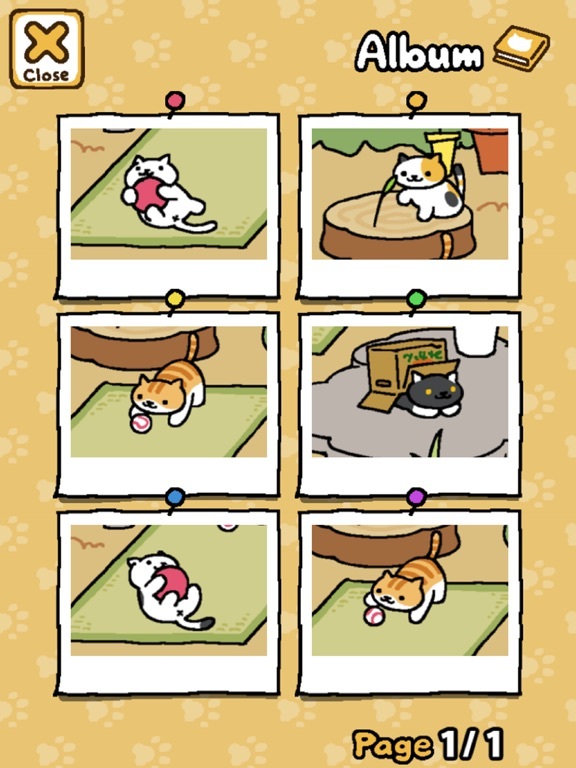 I've taken photos of cats that are now saved in the album. 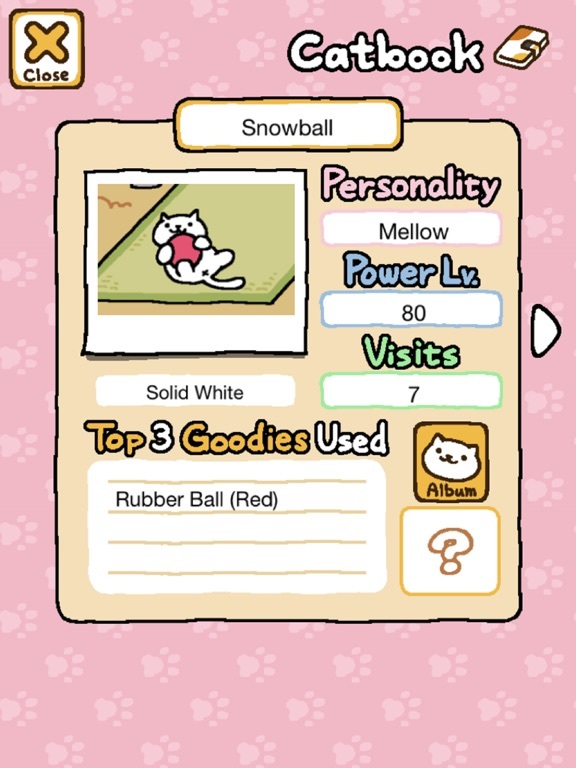 How do I get a photo to display on the cat info page where it says "no photo"? Tap on the photo you want once. This brings up buttons on the top of the screen to delete the picture or move to another album. Tap it again and the picture will say best shot with a little medal. You can also move pictures around after the first tap. It is now the default picture! This can be changed at anytime. 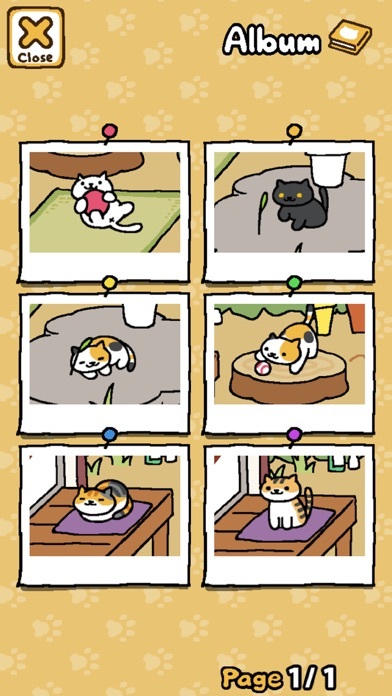 I'm trying to get all my cats to have cat butts and then moving on to loaf cats after. Loaf cats are sleeping cats with their tails curled up next to them. PSA: the new update, to 1.4.6 has removed the passwords for the time being and added a small ad to the bottom of the news screen. Ah ha! Thanks. I saw the option to move photos to different folders, but missed the best shot function. New update has restored passwords. However, you will be starting over on the daily login count. Is it just me, or does the yellow food, frisky bits, seem to be lasting longer than before? Should be on an 8 hour timer. Does anyone know if they'll be doing a christmas update for the game? They just released it! It adds a present, stocking, sled, and a couple non holiday themed items. 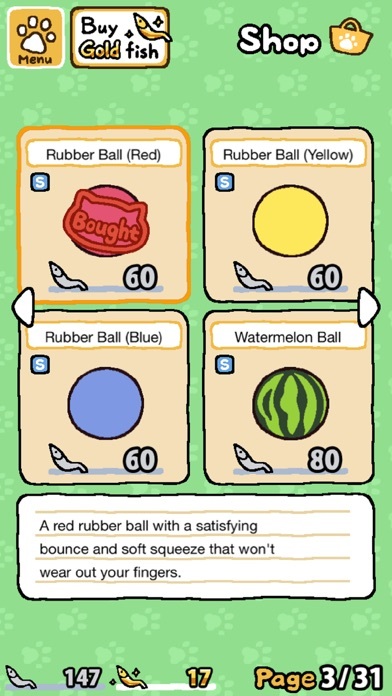 A new rare cat and the ability to set items when you buy them!